Jessica Fuentes, NP-C is a board certified Family Nurse Practitioner through the American Association of Nurse Practitioners. 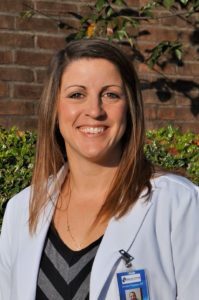 She graduated from Columbus State University with her Bachelor of Science in Nursing, and she completed her Master of Science of Nursing at Troy University. Jessica joins UCC after working eight years as a Registered Nurse in Emergency Medicine. Her experience includes: acute care, trauma, orthopedics, neurology, urology, respiratory and cardiology.